Have you been down the salt aisle of the grocery store lately? Your choice for salt used to be iodized or non-iodized and it was nestled on the shelf next to sugar and flour. Nowadays, searching for salt takes you through the color spectrum and around the world. The exotic salts on today’s grocery shelves are in demand because of the growing awareness and sophistication of home cooks. Ordinary table salt is adequate for ordinary cooking, but sea salt and specialty salts can make food extraordinary. Salt has been a common commodity since the beginning of time and across all cultures. Jesus picked the metaphor of salt at the end of his discourse that we’ve come to know as the beatitudes because it was common and familiar. If the beatitudes describe the essential character of his followers, the metaphors or salt and light indicate their influence for good in the world. “You are the salt of the earth; but if salt has lost its taste, how can its saltiness be restored? It is no longer good for anything, but is thrown out and trampled under foot. “You are the light of the world. A city built on a hill cannot be hid. No one after lighting a lamp puts it under the bushel basket, but on the lampstand, and it gives light to all in the house. In the same way, let your light shine before others, so that they may see your good works and give glory to your Father in heaven” (Matthew 5:13-16). Salt has many uses. It’s used as a preservative, has palliative properties, and it can be an antiseptic. If you’ve spent any time in the church pew, you have probably heard at least one sermon on each of these qualities of salt. I want to take a different tack. Salt, sodium chloride, is an essential nutrient. Unfortunately, salt has developed a bad reputation. The body actually needs sodium to regulate many of its functions, including heartbeat, nerve impulses and circulatory volume. It’s only when consumed in excessive amounts that it reportedly contributes to high blood pressure, kidney disease and fluid retention. Salt is also necessary for flavor. It doesn’t take much salt to flavor dishes, but salt certainly does improve them. Have you ever had popcorn without salt? Yuck! Salt is often used is sweet applications to enhance flavor. Adding salt to the surface of baked goods and desserts enhances their sweetness and provide a rounder, fuller flavor. 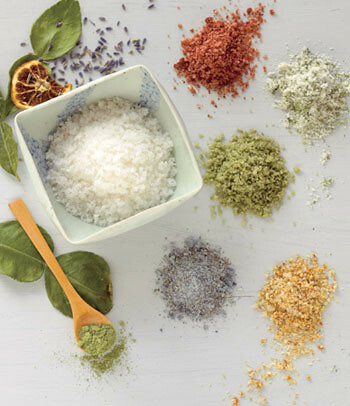 Salt is an essential nutrient and it’s necessary for flavor, but there is also a wide array of salts that can transform your cooking and eating experience. Colored, coarse, flakes, kosher, and several different sea salts are among the varieties available. Yes, you can use plain old table salt, but why settle for ordinary when you can experience extraordinary? That’s the vision of influence for good that I think Jesus wanted to convey to his followers. The elements of salt – sodium and chloride – may be the same across the varieties of salt, but they aren’t all the same. If there is so much diversity in something as common and basic as salt, why do we shy away from diversity in the church? Why would we ever think humanity – even followers of Jesus – would ever think, believe, or live their life just like everyone else? A sacred presence is necessary for our world. The sacred balances the secular. Championing justice, advocating for the vulnerable, being an influence for good is going to be as unique as humanity. My Christianity may not look like your Christianity, but that doesn’t mean it isn’t Christianity. My idea for marriage equality may not resonante with your understanding of marriage, but different doesn’t mean wrong. Ever wonder why you see professional chefs using their fingers to season foods with salt? Pinching salt is in fact a more tactile and reliable way of measuring salt intuitively rather than pouring the crystals from a box or canister. Maybe we need to consider being a pinch of salt rather than a pillar of salt. Next time you’re in the salt aisle of your local grocery store, take a look at all the different salts. Why not try a new salt and conduct your own taste test? You might find you’ve been missing out on the full spectrum of flavor. I can’t wait to try the pink salt from the Himalayas!